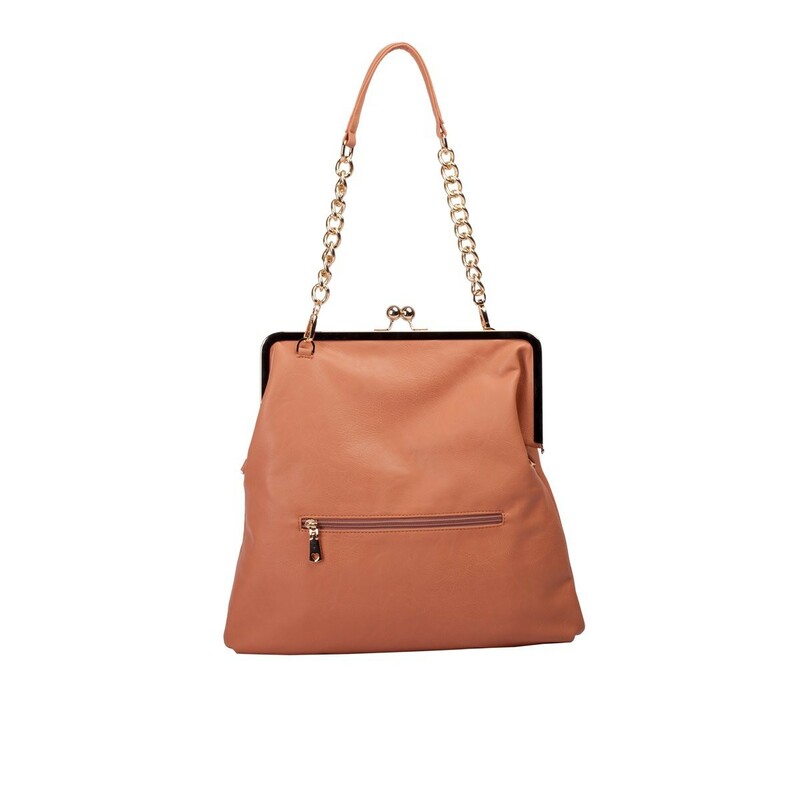 Large tote style grab bag/purse with a chunky gold chain shoulder strap. 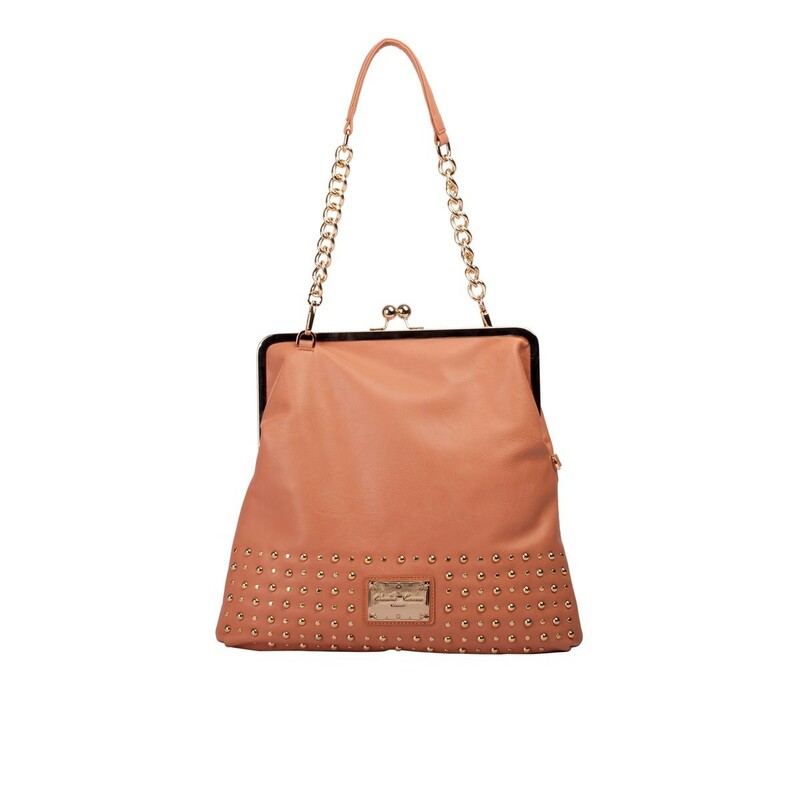 Features on trend studs around the bottom of the bag which gives it unique character. 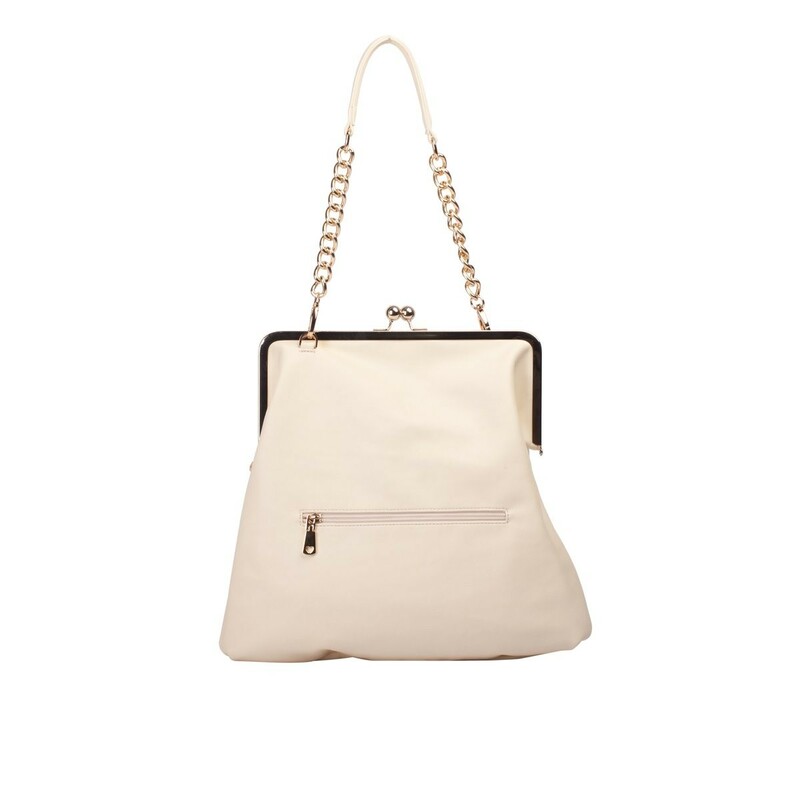 Wear this bag in different ways, fold down flap over or tote style.